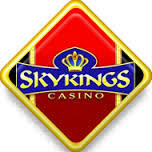 Unfortunately there is no promotional scheme available on SkyKings Casino to assist us in advertising the site. As such we have provided you with an alternative called Northern Lights Casino, which is an impressive gaming site offering a great choice for any type of player. SkyKings Casino does not offer payment through Payforit, but we at Payforit Mobile Casino aim to bring you the best and with their impressive games and bonuses, we felt you should check them out. If you’re looking for a sleek and responsive casino then SkyKings Casino is definitely for you, because not only do they offer great bonuses but they also have a wide range of quality gaming. So if you’re a fan of table casino, video poker, live games, or slots such as Pink Panther and Spin2Million we know you’ll have hours of entertainment ahead of you. VIP Scheme with amazing rewards. Registering is easy with SkyKings Casino and when you’re ready to make your 1st deposit you’ll receive a 100% cash match bonus on anything from £20 to £200. 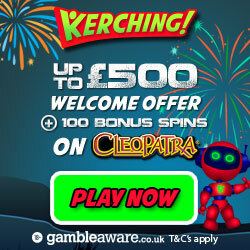 This means that you’re doubling your money, so if you add the maximum £200 then you’ll walk away with a whopping £400!! The bonuses continue on your 2nd deposit because SkyKings Casino will give you a 60% cash match bonus on anything between £20 and £500. 15% bonus if you bank with Neteller, Click2Pay, Click&Buy, Ukash, Paysafe Card, MoneyBookers, EcoCard, EntroPay, MyCitadel, WebMoney, Wire Transfer, Local Bank Payment and UseMyBank. 10% bonus if you bank with Visa, Master Card, Switch Card, Solo Card, Visa Electron and Maestro Card. Most of you will be eager to tell your mates about this great site, but wait! Because for each friend you refer who deposits a minimum of £20, you’ll receive a whopping £50 in bonus credit. This is where having lots of gaming friend’s leads to lots of extra bonus credit! The more you play with SkyKings Casino the more bonuses you’ll receive, because for every £10 you wager you’ll earn 1 comp point. These points can be converted into additional gaming credit, so whether you win or lose on the game, you’ll win with their bonuses! Their VIP Scheme is invitation only but boasts the best in VIP bonuses and rewards. Some of the incredible prizes include TV screens, DVD players, luxurious Vacations in Hawaii, and much more! They accept the usual banking methods including Credit and Debit card, Neteller, Paypal, Paysafe Card, U Kash, Entropay and Skrill. We’re sure you’re ready to enjoy the 100% first deposit bonus at SkyKings Casino! Welcome bonuses and promotions mentioned throughout Payforit Mobile Casino are subject to change. Terms and conditions as well as wagering requirements apply. Full T&C's can be found on the sites advertised.